David Yurman earrings from the Helena Collection. 18-karat yellow gold diamond wraps. 0.28 total diamond carat weight. 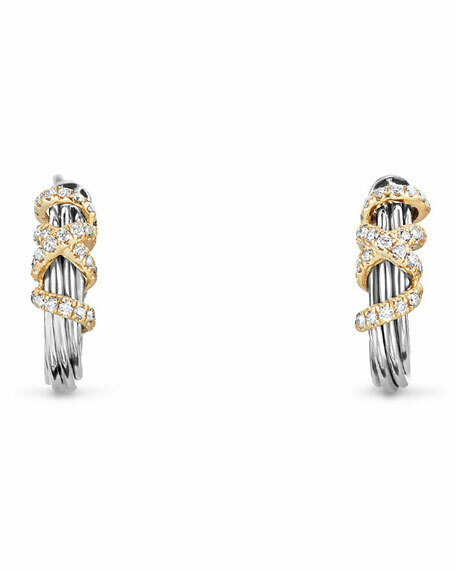 David Yurman drop earrings from the Helena Collection. Twisted, interlocking sterling silver hoop drops. Accent wraps with white diamonds. 0.28 total diamond carat weight. Approx. 2"L (50mm). For pierced ears.